$32 - Whether a dressy style or more for her weekly look, the PPLA brand delivers on every front. This tee is a part of their spring 2018 collection. The dark navy is a neutral color while her fabric is incredible soft and light weight. The wide neckline is completed with short, cap sleeves. Her unique hemline is an offset shark bite. 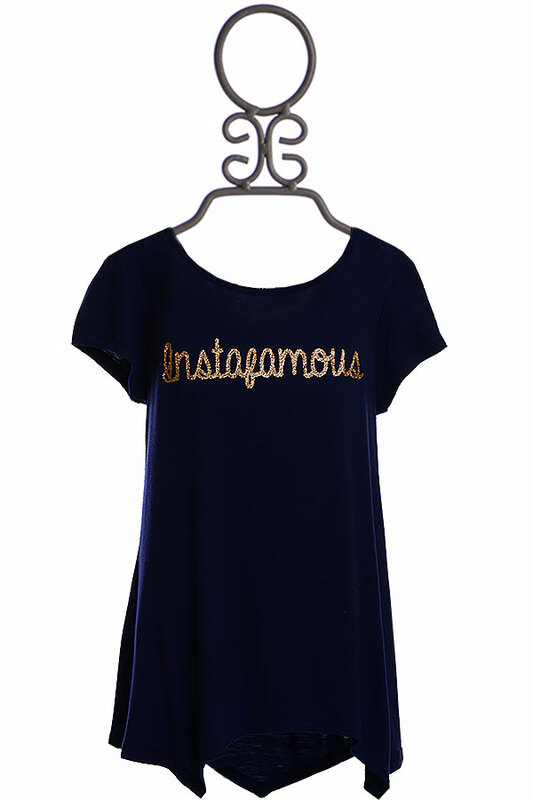 Trendy enters the look with a gold script screen print on the front that reads "Instafamous." These letters glitter and catch the light.